With the Grayling Festival coming up at the end of the month, many anglers are getting ready for a (usually) alcohol filled weekend meeting new friends, catching up with old, and fishing for Grayling on the famous Welsh Dee. So before this armada of anglers get stuck in, I decided to get a couple of days in on the river before they take a pummeling by some of the best anglers from around the globe. The fly box has been stocked with the usual grayling bugs, but there’s a few that I’ve been waiting to try for quite some time. Over the weekend I had the chance to try some of the new ‘nymph-it‘ thread material (which will be available very soon) on some new grayling bugs. The speed of which you can tie great looking nymphs is unheard of, and the juicy looks gives them more appeal for both grayling and human. 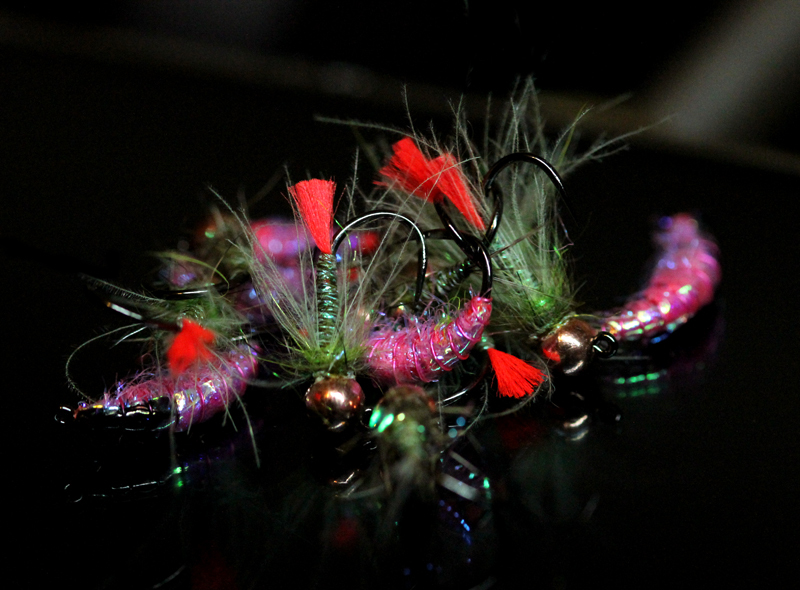 Im 100% sure with the right weights, these simple flies will work a treat on the Dee, and any other rivers for grayling. A the moment, I’ve only tied with the olive although I seriously can’t wait to get my hands on the other 12 or so colours.